A comprehensive consultation and immunization service for persons traveling abroad. Traveling to foreign destinations can present health hazards. Those hazards may be unique to the destination or common to most. An individual's health may also impact the risk of foreign travel. 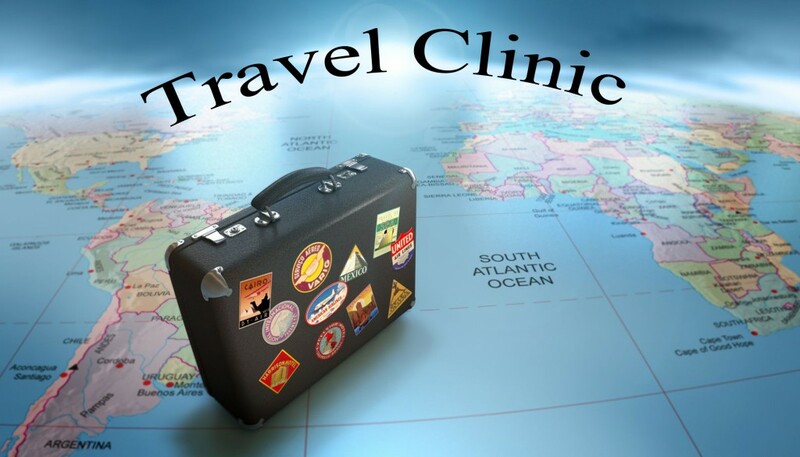 The World Health Organization (WHO) advises travelers to consult with a travel clinic four to six weeks before departure if the travel destination is one where exposure to any vaccine-preventable diseases may occur. You will receive pre-travel counseling and the appropriate immunizations for your destination to assure you only bring back souvenirs and memories. The Health Department is a designated yellow fever vaccination center by the CDC and Illinois Department of Public Health. Recommendations for immunizations are individualized based on each traveler's age, medical history, past immunizations and specific travel plans. A World Health Organization International Certificate of Vaccination is provided. For information or scheduling an appointment, please open and complete the Questionnaire below. Hit the E-mail button at the top of the page. We will return important information to you by email and also call you to set up an appointment and answer any questions you may have. To allow for optimal vaccine protection, appointments should be scheduled at least 4 weeks prior to your date of departure. NOTE: Vaccine prices vary depend on pharmaceutical rates. Price estimates provided when appointment is scheduled. Please, no personal checks. We accept cash and/or VISA, MasterCard, Discover, and American Express (2% service fee added for credit cards). To pay, please click here.